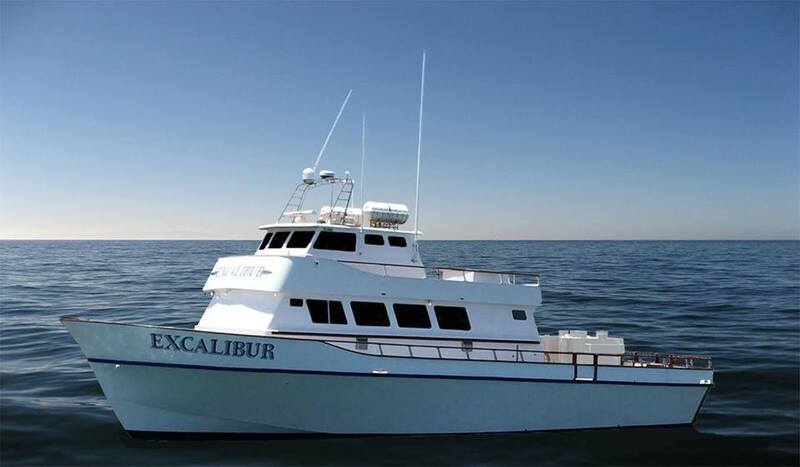 With the purchase of Excalibur in 2018 came a complete rebuild and retrofitting with the most state of the art fishing accessories. The vessel already boasted an unparoled fishing platform, with one of the widest decks of any fishing boat. The huge stern has new bait tanks with bait capacity for any trip and the spacious bow is an iron-fishers dream. The large galley has plenty of seating with 6 large tables and two 55 inch HD televisions equipped with Direct TV. The air-conditioned bunkroom is where the true comfort of this boat lies, with both staterooms and double-wide open berth bunks you can sleep comfortably after a long day of fishing. Along with the comfortable amenities, the Excalibur also has the newest available fish finding equipment from Furuno installed, including an FCV-295 Fish Finder, a CH-500 Sonar and a 3D Multi-Beam Sonar. The Excalibur's 85' Length and 26' wide beam gives anglers plenty of room at the rail to fight whatever fish is at the end of the line. 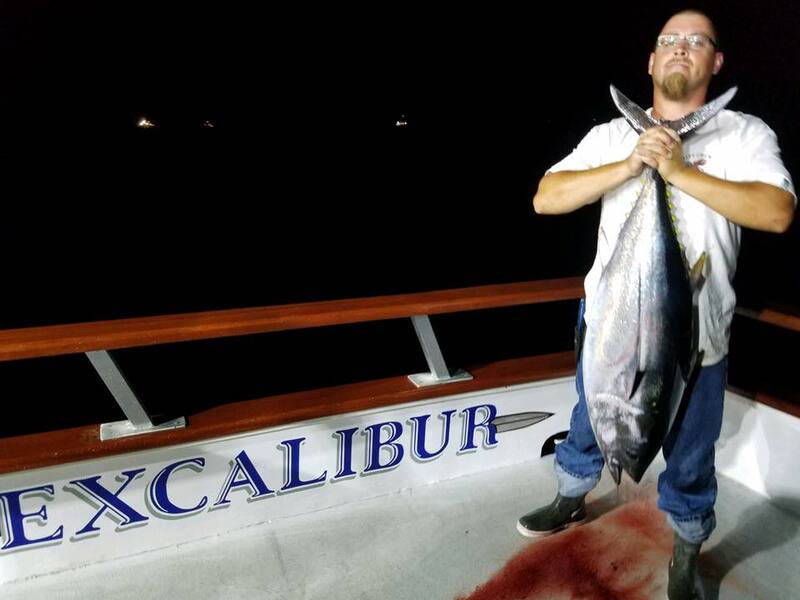 The Excalibur's knowledgeable and experienced captain and crew can help guide any fisherman, novice to the seasoned angler, haul in that prized catch. 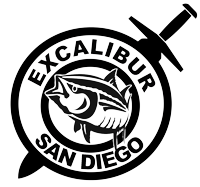 Your catch will be stowed in the Excalibur's RSW fish hold at a chilled temperature of 33 degrees Fahrenheit. H&M Landing 2803 Emerson St. San Diego, Ca.